Database Systems Corp. (DSC) provides the technology necessary to send and receive phone calls and messages. Our products include predictive dialers, IVR interactive voice response systems, ACD automatic call distribution, phone call recording and monitoring solutions, and voice message broadcasting systems. Besides offering systems for purchase, DSC has a comprehensive call center that lets our clients outsource their phone applications without the added expense of equipment and telecommunications. 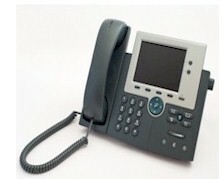 Our systems utilize long distance T1 phone lines as well as analog phone lines. DSC, however, does not provide telecommunications and long distance phone services - thus we have created this directory for our clients who wish to obtain these services. If you are a long distance or telecom service provider and would like your website included in this directory, please use our Submit Phone Service Website form. It's FREE and simple to add your website. The following is a list of organizations that according to their website descriptions provide long distance and telecommunications services. Database Systems Corp. does not promote or endorse any company on this list. These websites promote various types of phone services including long distance service, local phone service, voip services and various telecom service, etc.